This small minus sign makes all the difference, and now the solution will be correct. 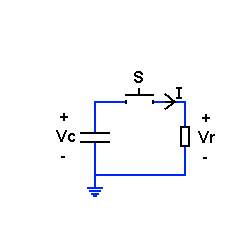 Physically, the intuition is that the current here flows from a discharging capacitor, hence it's "against" the voltage direction. Had it been a capacitor-charging circuit, there would be no confusion.